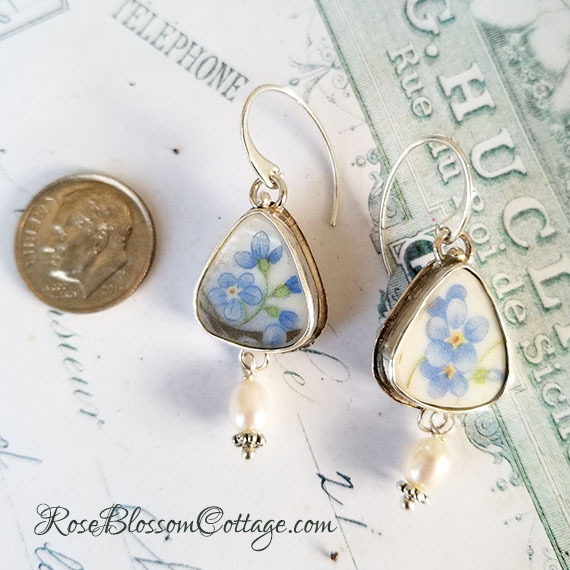 A customer favorite shape along with a customer favorite Forget-Me-Nots. 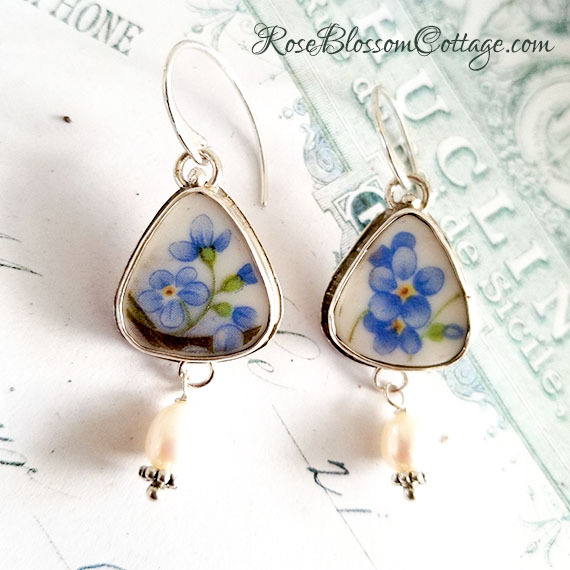 Lovely way to remember a special person or moment. Matches pendant necklace 174891-2. See 4th picture. 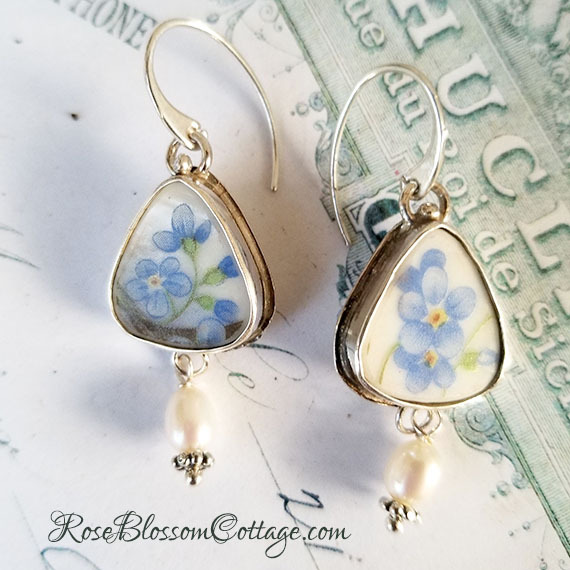 Sweet forget me nots earrings have been carved out of porcelain. 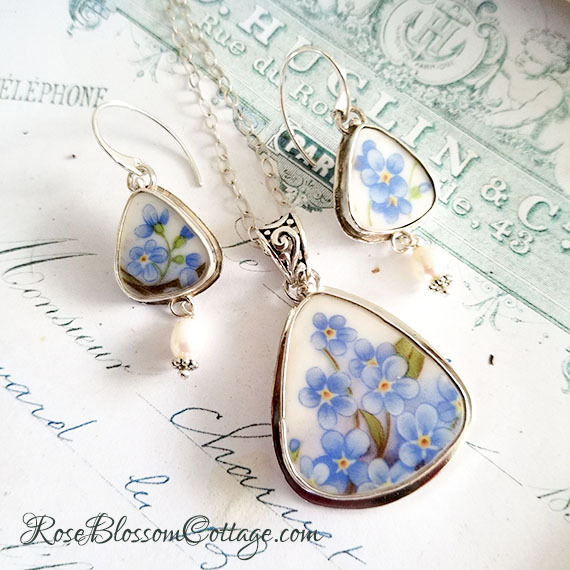 Custom set in a Sterling silver setting. Sterling Earwire loops. Freshwater pearl on Sterling pinning dangle from the bottom. Lovely movement. About 1 3/4" from top of earring to bottom of pearl. About 5/8" wide.